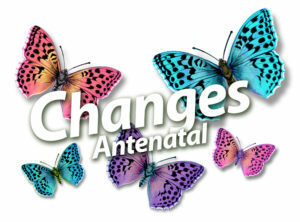 If you are expecting a child and live in Sandwell, we have a new antenatal course available free of charge! The new antenatal support is being delivered across Sandwell to help parents-to-be prepare for the birth of their new baby. The course has everything you need to prepare for labour and the arrival of your baby. Growing a baby– covering how your baby is growing and developing, and gives you top tips to have a healthy pregnancy. Looking after us– a session dedicated to what impact a baby will have on your day-to-day life, and see what support is available to help you cope. The birth– delivered by a local midwife, covering key information about labour and birth and what to expect. The first few weeks– a chance to speak to other new parents, talk about your birthing experience and how you are finding life with your new baby. Each parent will receive a parent handbook, which includes information and advice for parents to be. The sessions are being run at different times and locations across Sandwell. You should receive information about the sessions by your midwife. You can book onto the course by visiting www.bookwhen.com/changes , or by contacting Healthy Sandwell.